In July 2010 I got a blast from the past! 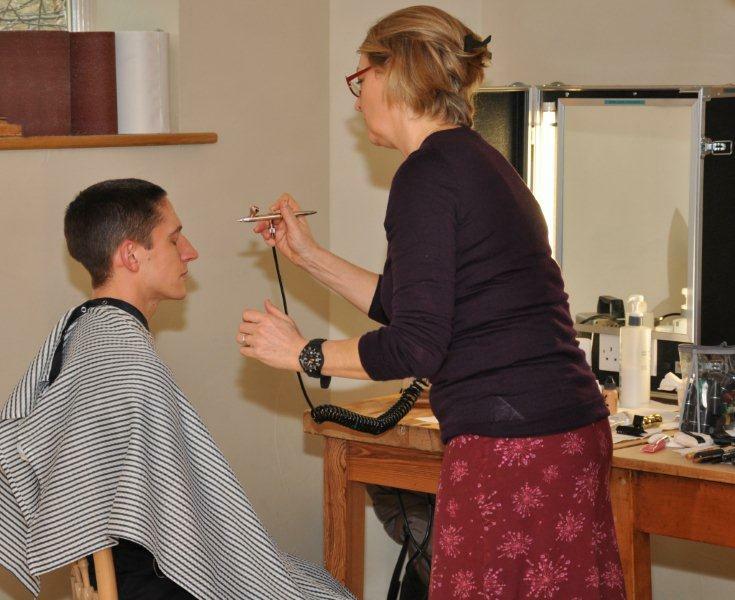 Matt Wright from Freehand where I had briefly worked nearly 10 years before contacted me to see if I would be interested in a joint venture – a Just Jhoom! Dance-Fitness DVD. Little did he know what a can of worms he was opening! Matt came to see one of the Just Jhoom! classes and liked what he saw and we decided that yes – this was a real possibility – a fun project that both Freehand and Just Jhoom! could work on. Our biggest issue was music. I was adamant that any DVD we produced would have to have Bollywood music – not copyright free music that seems to be the staple of most Bollywood DVDs on the market – but proper music from Bollywood films. I knew this was going to be a challenge, because until now no one in the UK had ever managed to secure music rights from a film company in India to use on a dance-fitness DVD. We approached a few music distribution companies in India and the UK, a British Asian musician, wrote numerous emails to music artists in India – nothing was working! Then suddenly, out of the blue, around mid-August a reply from Yash Raj Films. They wanted to talk. Yash Raj are one of the biggest and most respected Bollywood film production companies in India. Yash Raj also held the license to the song Jhoom from the film Jhoom Baraber Jhoom – and this is a song that we use to start all Just Jhoom! classes up and down the country. And so the negotiations began. And, I have to hand it to Matt, he really stuck to it. He and Rohit (from Yash Raj Films) thrashed out the details – and finally in January 2011, 5 months aft er negotiations started, an agreement was reached. Yash Raj Films had kindly given us permission to use seven tracks from a variety of their films to use in the DVD. We were ecstatic! This really was exciting. We were using songs from blockbuster hits like Chak De India and the more recent Band Baaja Baarat. There was a song to suit all tastes! We are really grateful to Yash Raj Films for this opportunity! And so preparations began in earnest. 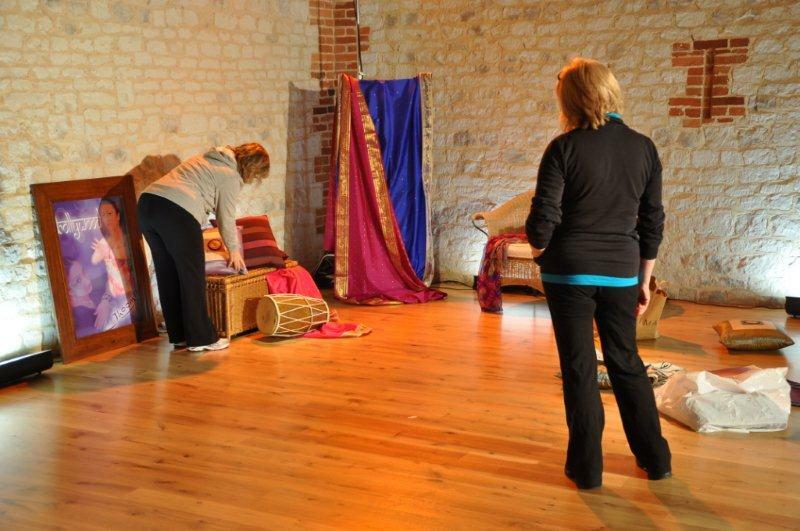 We needed to find a venue, choreograph the dance routines, find dancers, design the set and outfits, organise cameras….it was full steam ahead. 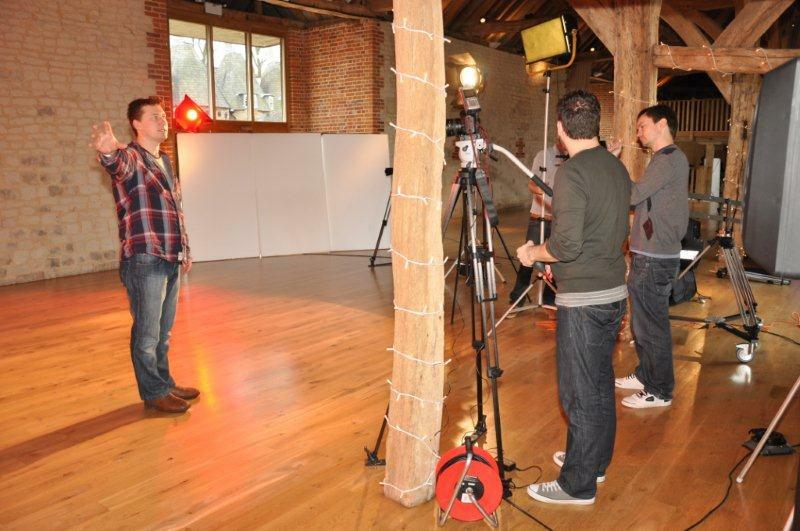 On Thursday 24 February at 7am a team of 4 camera crew, 6 fitness dancers, 2 make-up artists, a photographer and 3 stage crew descended on the beautiful Barn at Bury Court in Surrey. Later that day we were also joined by the Bollywood Dance London troupe who I had invited to perform a routine on the DVD. It was intense, we were focused, it was fabulous fun!! At 6pm that evening when Matt said “It’s a wrap!” there were cheers, a few tears – and an enormous sense of relief. 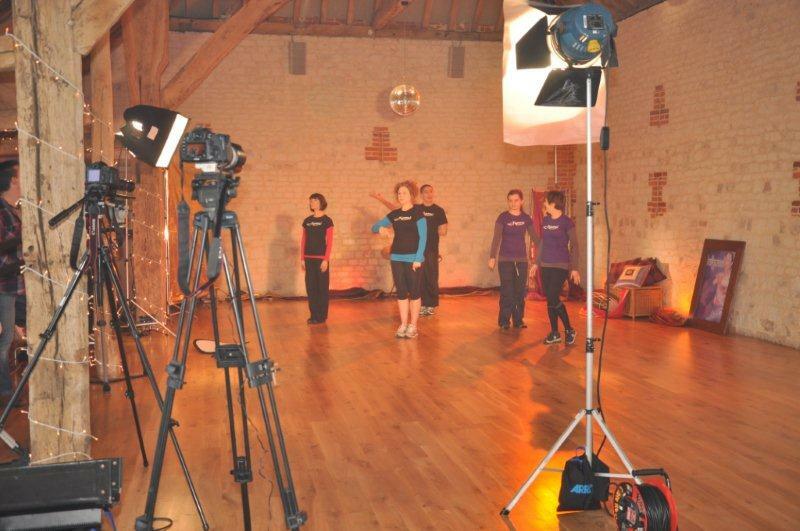 We had just filmed the first ever Just Jhoom! 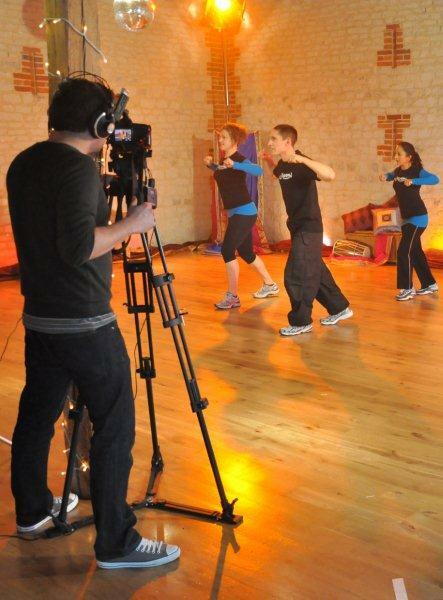 Dance-Fitness DVD – and everyone from Matt and his team, the Just Jhoom! 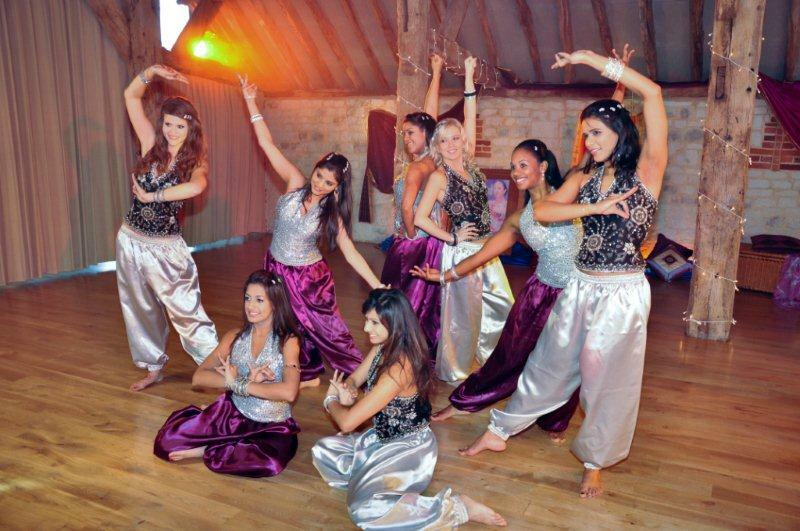 dancers, the Just Jhoom! behind-the-scenes crew to the BDL dancers had put 101% effort into this day. When I got home that evening, I thought – wow it’s all over! In reality, this was just the beginning. Matt and his team will now spend hours going through all the footage captured by the 4 cameras. They will spend days editing – and then I will get to see the rough cut and give feedback! By the end of March we hope to have the DVD on its way to being ready to launch in May when it goes on general release in the UK. In the next few weeks we will be able to share some snippets of the forthcoming DVD, and also show you the behind the scenes “Making of the Just Jhoom! Dance-Fitness DVD”. So, watch this space….